One of the stories you probably haven’t heard from Sno*Drift was about a Pacific Northwest entrant Agatino (Tino) Fortunato of All Fours Rally Team. You may recall when we discussed on our podcast the 2016 Subaru Contingency Program. The program centers around the Super Production Class and encourages competitors to purchase and race the newer Subaru WRX and WRX STI platforms. It offers a combination of discounts for entry fees, a start bonus, as well as cash rewards for podium finishes. All Fours Rally Team are the first to take full advantage of this new program which pays out the most for the newest 2015-2016 body style. Tino saw this as a good opportunity to recoup some of the costs of purchasing a new car and competing for a national title. All Fours Rally purchased the car just a couple of months ago and worked tirelessly to get the roll cage, wiring, tuning, etc. all completed in time for Sno*Drift. 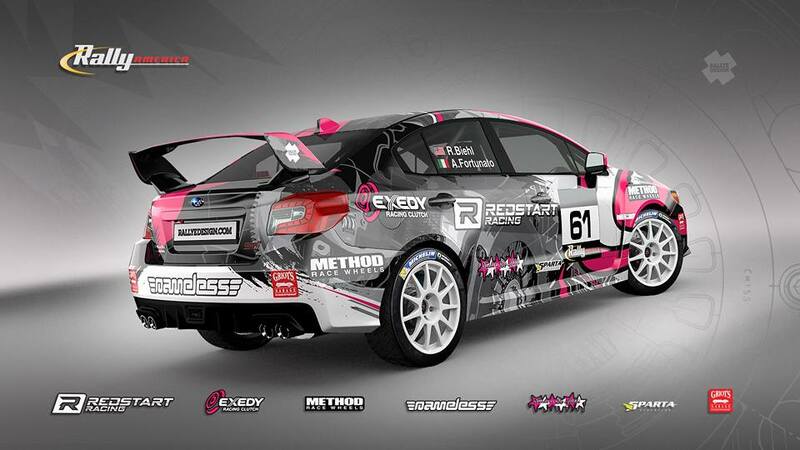 Somehow they also found time to work with Rallye Design to come up with this wicked livery too. 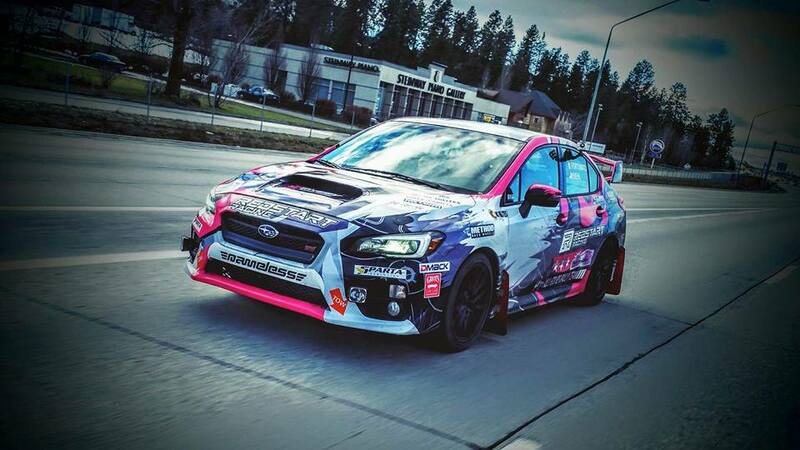 The new build’s unofficial shakedown was a 2,500 mile trek from Seattle to Atlanta, Michigan for the event. That’s right, they drove the actual car all that way, and if you’ve ever sat in a race seat then you know how uncomfortable that can be even for short distances! There was no real testing before they started on stage. Talk about having confidence in your build! As we all know, Sno*Drift is a unique event. Ice and snow without studded tires. I checked the history and Tino competed in Sno*Drift in 2014 as an Open Light regional entry, but not before or since. Also take into account that this is his first time competing in a turbo car as Open Lights are normally aspirated. So it was going to be a real challenge, not only because it is a new car which always have their quirks, but also in learning the stages and managing the (lack of) grip. So how did they do? This is something that was completely missed by Rally America’s coverage unfortunately. Their tactic of just keeping the car on the road and out of the snowbanks without pushing too hard worked out very well. Not to say they were slow, as their times were mostly in the Top 10 all weekend among more experienced Sno*Drift regional and national teams. With their closest rivals faltering over the weekend, Tino Fortunato and Co-Driver Randy Biehl pulled out a podium 3rd place in Super Production! Not bad for a brand new car and a team that has very little Sno*Drift experience! So how does this team celebrate their first national podium? 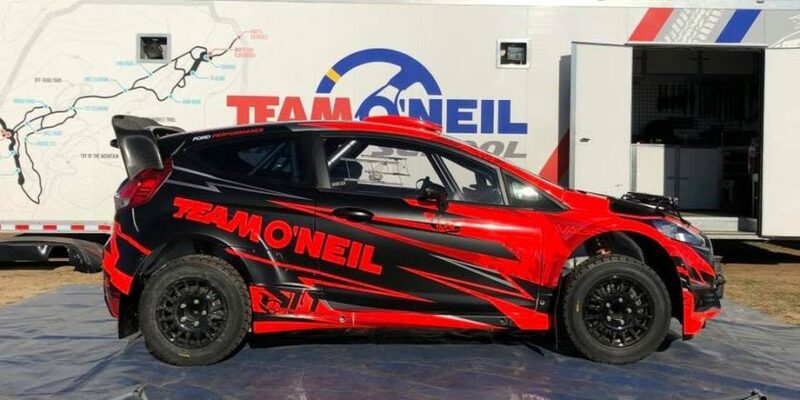 No joke, they hopped back in the car to drive it another 700 miles into Canada to compete in this weekend’s Rallye Perce-Neige, the opening round of the Canadian Rally Championship! Now that is what I call an encore! This has been such an amazing trip we couldn’t ask for anything more! 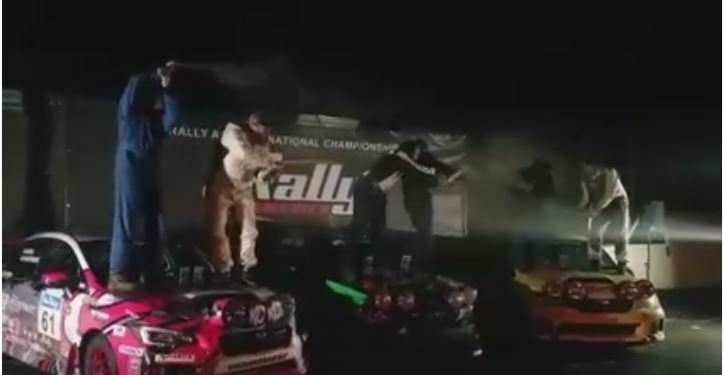 3rd place in super production national podium on a car that was built in 2 months with 0 shakedown i mean none shakedown was stage 1and our first time in something other then an open light car…. With some tips from Subaru we picked up time and it was simply amazing the car is FANTASTIC!, we also got to hang out with higgins, drew, lasek and SRT USA we are now headed to perce neige in Quebec Canada!! Thank you to Every single person who has helped us along the way, snapped pictures, followed us online and even came to sit in the car and chat with us this goes to show a small grassroots team can do big things. 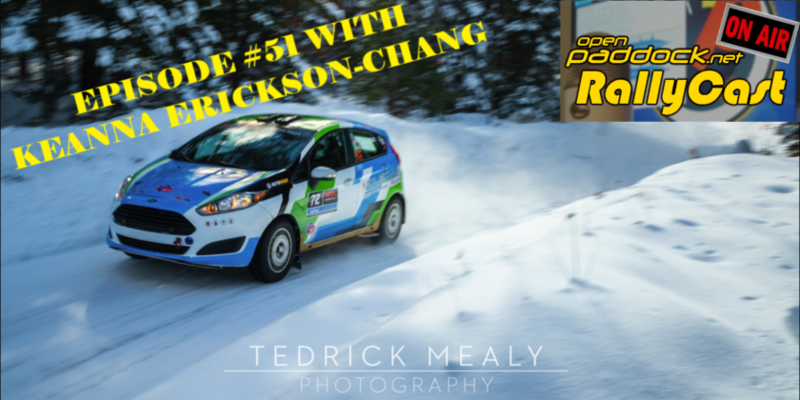 Good luck at Rallye Perce-Neige this weekend! 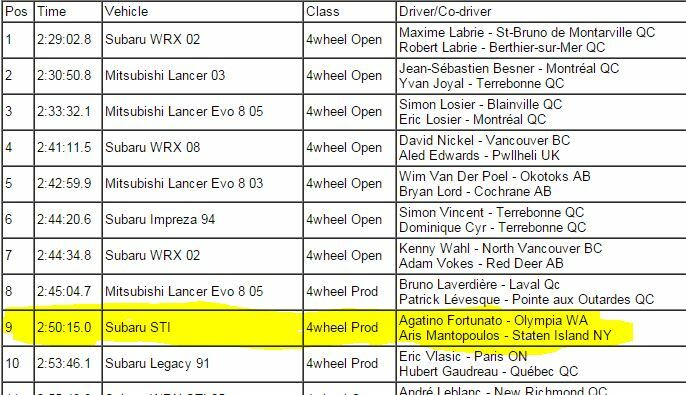 UPDATE: The All Fours Rally Team did one better at Rallye Perce Neige with 2nd place in National Production Class and 9th overall! Well done team! Only 3,500 miles to get back home from your ‪#‎RallyMarathon‬!